Bruce Adami is the organist at Christ Episcopal Church, Exeter. He has given solo organ recitals throughout New Hampshire and Massachusetts. 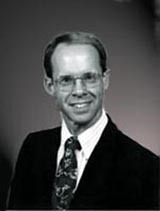 From 1984 until 2004 he was Director of Music and Organist at Brookside Congregational Church in Manchester. Adami holds a Bachelor of Music degree in Organ Performance from Oberlin College Conservatory of Music where he studied organ with Haskell Thomson. He has taken postgraduate courses at Westminster Choir College. He worked for several years as a pipe organ builder, and served as Treasurer and Dean of the New Hampshire Chapter of the American Guild of Organists. Amare Cantare is an auditioned chamber chorus that strives for musical excellence in the performance of challenging and diverse repertoire. We seek to foster a vital arts community, to collaborate with other organizations, to provide opportunities for artistic fulfillment for our singers, and to share our love of music with our audiences. Since its creation in the late 1970s, Amare Cantare, which means, “to love to sing” in Italian, has been performing masterworks and intimate choral music from five centuries. Its 24 members come from all over the Seacoast, ranging from Kittery, Maine to Middleton, NH. 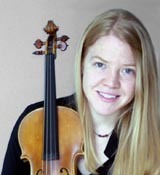 Sarah Barker earned her Master’s degree in violin performance and pedagogy from the Hartt School of Music. Her background includes studies with teachers Katie Lansdale, Eric Rosenblith, and Clara Olsen, and she has performed in masterclasses with Donald Weilerstein, Jamie Buswell, and the Miami String Quartet. Winner of four chamber music awards from the Hartt School, Sarah has also made solo appearances with the Holberg Chamber Orchestra, and performed with orchestras throughout the Southeast and New England. 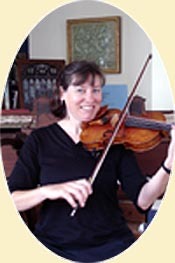 She served on the faculty of Cadek Conservatory at the University of Tennessee where she coordinated the Suzuki strings program and directed the Cadek Summer Violin Camp, and currently teaches for the Hartt School Community Division in Hartford, CT. She is a sought-after clinician for string workshops and festivals both in the U.S. and abroad, including most recently the Residential Summer String Camp in Tasmania, Australia. 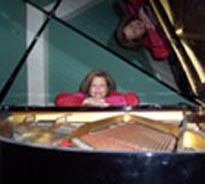 Pianist Mary Towse-Beck studied at the Eastman School of Music and at Indiana University where she obtained her Bachelor's and Master's degrees in piano performance. She studied under several renowned teachers in the United States, including Jerome Rose, Rebecca Penneys, Edward Auer and James Tocco, and Benjamin Kaplan and Norma Fisher in London. She has been a featured artist on Australian national radio, has won several scholarships and awards at various music festivals in the United States and has been a successful participant in international competition. She resided in England for nearly twenty years where she performed as both soloist and chamber player, and also established a large teaching studio. In the summer of 2007, she relocated to Stratham, New Hampshire with her husband and three children. She is a director of the Aliento Chamber Players, and is hoping to become an integral part of the musical life here in the Seacoast area. 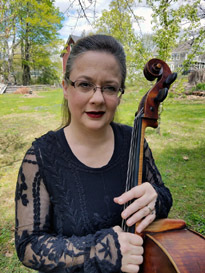 Dorothy Braker, cellist and Director of Aliento Chamber Players, Inc., graduated from the Juilliard School with Bachelor’s and Master’s degrees in music performance. Her studies were with Lois Core Yopp, Phil Blum, Karl Fruh, and Harvey Shapiro. She has participated in master classes with Janos Starker, Hans Jørgen Jensen, and Channing Robbins. Primarily a soloist and chamber musician, her recitals across the United States have included Lincoln Center and Paul Hall in New York City, The Bennington Museum in Vermont, and the Newberry Library in Chicago. She has performed in Orchestra, Carnegie, Avery Fisher and Alice Tully Halls. Here in New Hampshire, in addition to extensive chamber music and solo performances, she performs with area orchestras, and also coaches chamber music, a cello choir and has a private studio of students. She firmly believes in experiencing music as an integrative and joyful part of life, both in her East Kingston home with her family, and in performance. Nancy M. Brown received her B. Mus. from Boston University and went off to teach music in Westbrook, Maine developing a string program for the school system. After a year at Berklee College of Music exploring theory and composition, she arrived at Durham, NH to teach at the Oyster River Middle School. In addition to her general music classes, Nancy enjoyed working with the orchestra which included several very talented students of Louse Wear. For the past 15 years Nancy has been the Director of Seacoast Choral Society, a non-audition community chorus which rehearses in Durham and performs some of the major choral repertoire twice a year. Nancy and her chorus were able to travel to Salzburg to perform Mozart's "Coronation Mass"- in the church for which it was written! In addition, Nancy has directed Messiah Sings in several locations in New Hampshire. Each September since 2001, Seacoast Choral Society has held a read- through of the Faure "Requiem" for one and all "In Remembrance . . ."
It is a thrill for Nancy to be involved in these performances with such fine musicians! To work with these people is a real blessing in her life. Serving as a Director for Aliento Chamber Players is another real opportunity to further support and promote the music scene here in New Hampshire. Dr. Moon earned a Bachelor of Music and Bachelor of Arts degree from Coe College, a master's degree from the University of Michigan and a doctoral degree in conducting from the University of Iowa . 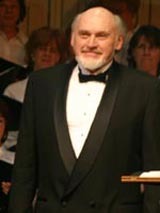 Harry served as Interim Choir Master at St. John's Episcopal Church in Portsmouth and is currently Music Director and Conductor of the Community Chorus at South Berwick. 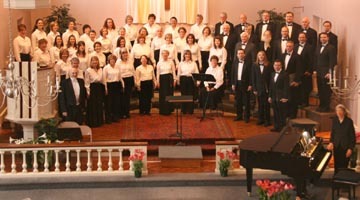 Now in its 8th year under music director and conductor Dr. Harry Moon, the Community Chorus at South Berwick was founded in 1975 by Dianne Colby-Dean. Since that beginning, the community group has expanded its program, audience, and concert repertoire. The chorus now performs great choral music from the Renaissance to twenty-first century music, including premier performances of commissioned works. 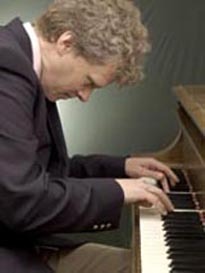 Paul Dykstra's versatile pianism and musicianship have interwoven with all of the major compositional and performance styles in the musical spectrum. Classically trained from a young age, and trained at the University of Alberta under Helmut Brauss (a protégé of Edwin Fischer and Elly Ney) he has performed the Bach D Minor and Beethoven G Major Concertos with Canadian orchestras. Paul has worked with major artists and pedagogues including Anton Kuerti, Gyorgy Sebok, and Zoltan Szekely at the Banff School and Shawnigan Lake Summer School of the Arts. His solo, chamber and two piano performances have taken him from Western Canada to the East Coast of the United States. A winner of many awards and scholarships in his native Canada, he has also been on the Board of Examiners for the Western Board of Music and Conservatory Canada. Since emigrating to the US in 1999, he has completed major projects including World Premiere recordings and performances of contemporary music with clarinetist Richard Stoltzman, a full length CD of Classical, Romantic, and Contemporary piano repertoire, and a recording with Stoltzman and the Slovak Radio Symphony Orchestra of NH composer Roger Rudenstein's "Blues for New Orleans". His recent CD, An Ivory Winter, featuring Great Classical Piano Music for your Inner Season, with masterpieces by Chopin, Beethoven, Bach, Mozart and NH composer Roger Rudenstein, can be purchased here. Paul is also on the Faculty of the Concord Community Music School and performs many solo and chamber concerts in addition to four-hand one and two piano concerts with colleague Gregg Pauley. Nancy Fiske received her Bachelor of Music from Boston Conservatory. She continued her clarinet studies in New York with Naomi Drucker and Cal Opperman and participated in a clarinet seminar with Richard Stoltzman. Nancy has performed throughout New England as a soloist and chamber musician on many concert series and live on WGBH radio, MIT radio, and Channel 9 TV. 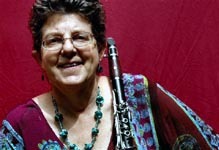 For many years she performed with Infinities Chamber Ensemble, focusing on school outreach programs which brought the woodwind instruments to public school children. Currently her favorite place to perform is at the First Unitarian Universalist Society of Exeter on Sunday mornings. Nancy also plays recorder and coaches early music ensembles. She lives in Fremont, NH, teaches at the Dr. John C. Page School, and has a vibrant studio of private students of both recorder and clarinet. B.M., M.A. University of New Hampshire. Mr. Hodges is principal cellist in the New Hampshire Philharmonic. He is also a member of the Philharmonic Chamber Players and the Artful Noise String Quartet. His teachers have included Sato Knudsen, Andres Diaz, and David Wells. In addition to the cello, he plays the viola da gamba in the Woodman Consort of Viols, an early music ensemble. Mr. Hodges teaches strings at the Pine Hill Waldorf School in Wilton, NH, is involved with several programs including the Maine ASTA String Academy and Timberlane High School, and directs the Phillips Exeter Summer School Orchestra. 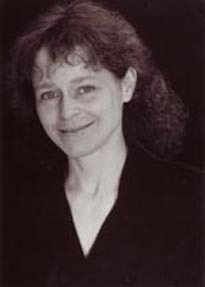 Jennifer Jameson-Kelly began violin studies at age 4 at School for Strings in New York City, and attended Juilliard Pre-College Division from 1985 to 1990. Now an accomplished chamber musician, the highlight of her musical training was chamber music at Greenwood Music Camp where she spent numerous summers. After college, she was a fellow with new World Symphony in Miami, FL during the 1994-1995 season (under direction of Michael Tilson-Thomas) and performed internationally including Brazil, Venezuela, Israel, Monte Carlo, as well as at Kennedy Center and Avery Fisher Hall. Jameson-Kelly then proceeded with medical school and residency training in family medicine. 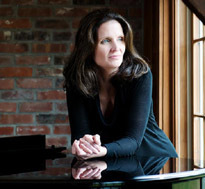 Since relocating to New Hampshire and establishing a practice in Stratham, she has continued to pursue her love for chamber music, and lives in Brentwood with husband Scott and daughter Reagan. Jennifer Jameson-Kelly is also a member of the congregation at Christ Church. Matthew Laughlin recently received his Master of Arts in Music degree from UNH. He obtained his Bachelor of Music in Cello Performance from Indiana University. 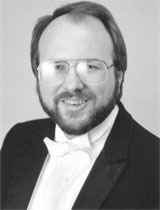 He has performed with the Vermont Symphony Orchestra, the New Hampshire Philharmonic, the Peterborough Players, the Boston College Opera Theatre, the Keene Chamber Orchestra, the Lakes Region Symphony Orchestra, the Concord Chorale, the Terre Haute Symphony Orchestra, the Camerata Symphony Orchestra, and the Evansville Symphony Orchestra. Matthew intends to pursue cello performance at the Longy school in the coming semester. He teaches at the Manchester Community Music School and the Seacoast Academy of Music. Ian MacKay began studying violin when he was four years old. He has played with various groups, including the New Hampshire Philharmonic (since 2006) and the Keene Chamber Orchestra (since 2007). He has also been a part of Monadnock Music, playing with the Triple Helix Piano Trio, the Ciompi String Quartet, and pianist Virginia Eskin. In 2009 Ian was concertmaster of the New Hampshire All-State Honors Chamber Ensemble and the New Hampshire All-State Orchestra. He also played in a piano trio in Keene, New Hampshire, which was coached by Eric Stumacher. 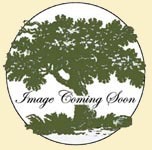 He has played frequently at RiverMead Retirement community, and throughout New England. Ian has also been a finalist in many competitions, including the Lowell Philharmonic Concerto Competition, the New Hampshire Philharmonic Youth Concerto Competition, the Wellesly Symphony Orchestra Concerto Competition, and the New England String Ensemble Concerto Competition. He is expected to solo with his brother in May, 2010, with the Keene Chamber Orchestra, playing the Brahms Double concerto. Jacob MacKay started playing music at the age of four. He initially studied Suzuki violin, but later switched to Suzuki cello from which he graduated at the age of twelve. In 2006, Jacob became a member of the New Hampshire Philharmonic Orchestra, and a member of the Keene Chamber Orchestra in 2007. 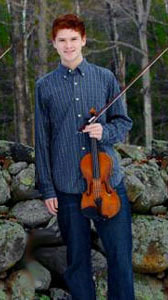 Jacob has participated in a number of youth concerto competitions throughout New England. 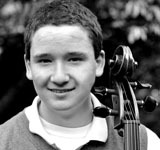 In 2009 he won both the New Hampshire Philharmonic Concerto Competition and the High School Cello Competition at the University of Connecticut. Summer music programs which Jacob has been part of include: Monadnock Music, Greenwood Junior Music Camp, Ogontz Suzuki Institute, and Apple Hill Center for Chamber Music. Jacob is looking forward to soloing the Lalo Cello Concerto in D minor with the New Hampshire Philharmonic Orchestra at the winter 2009 concert, and the Brahms Double Concerto with the Keene Chamber Orchestra in Spring 2010. 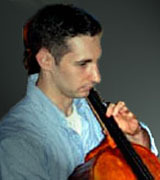 Elliott Markow, violinist, began his professional performing career at age eleven as soloist performing the Mozart Concerto No. 4 with the Boston Pops. 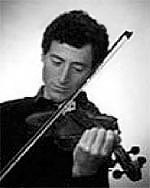 Mr. Markow has studied with William Kroll, Emanual Borok, Berl Senofsky and Jascha Heifetz. Mr. Markow is much in demand across New Hampshire. He serves as concertmaster of the New Hampshire Philharmonic, the Nashua Symphony Orchestra, the Granite State Symphony Orchestra, the Granite State Opera Orchestra, and the Great Waters Music Festival Orchestra. He serves on the faculty of the Manchester Community Music School, the University of Massachusetts at Lowell, and Saint Paul’s School in Concord, New Hampshire. Mr. Markow has appeared extensively in solo, chamber music and orchestral performances in the New England, Florida/Gulf Coast, Southern California, and the New Orleans areas. 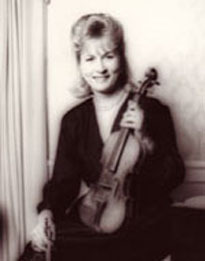 Patricia Morrison, violist, graduated from the Cadek Conservatory of Music in Chattanooga, and was a Fine Arts Major at the University of Chattanooga. She was concertmistress of the community orchestra at Atlantic Union College, a violinist with the Chattanooga Symphony for a number of years, and a member of the Portland Symphony. She studied chamber music with the Hungarian String Quartet, was a violist with the New England Sinfonia touring chamber orchestra, Trio Con Brio & Friends chamber players, and is a member of the Aliento Chamber Players, Inc..
Beth Pearson, cellist, is a graduate of Oberlin Conservatory and a Tanglewood Fellow. 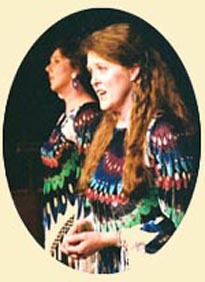 Beth is a founding member of Apple Hill Chamber Players. She has been a soloist with the Brockton Symphony, New England String Ensemble, Nashua Chamber Orchestra, Brookline Symphony and Boston Lawyers Orchestra at the Esplanade. She has performed and recorded throughout the United States and has 40 years' experience teaching cello and coaching chamber music. The Piscataqua River Brass, under the direction of Matt Doiron, sets out to provide the Seacoast region and beyond with the finest programs, ranging from the most formal of classical concerts to fun-filled traditional POPS concerts, and with the ensemble ranging in size from six to twenty-plus performers. This group of talented regional brass and percussion players strives to delight their audiences with varied programs, featuring the glorious, full-bodied sound that can only come from a group of brass instruments. This July 4th weekend concert right here in Exeter, New Hampshire's Revolutionary War capital will "blow you away!" Formed in September 2002, Amare Cantare’s smaller, outreach ensemble of 4 to 12 singers was created to meet the demand for more intimate performances. The musical selections come directly from Amare Cantare’s a cappella repertoire. Its parent organization, Amare Cantare is an auditioned chamber chorus that strives for musical excellence in the performance of challenging and diverse repertoire, seeking to foster a vital arts community, to collaborate with other organizations, to provide opportunities for artistic fulfillment for their singers, and to share their love of music with audiences. 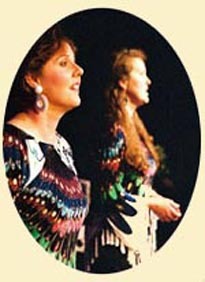 Since 1977, Amare Cantare (“to love to sing”) has performed masterworks and choral music from five centuries. Based in Durham, New Hampshire, the group’s members come from all over the Seacoast. Larry Veal is Associate Professor of cello and chamber music at the University of New Hampshire. He holds a B.S. degree in music education and a M.M. degree in cello performance from the University of Illinois at Urbana-Champaign. 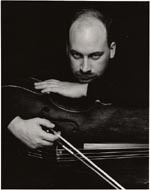 Prior to his appointment to UNH, he held positions as principal cellist of the Fort Worth Symphony and Chamber Orchestras, and as assistant professor of cello at the University of Kentucky. A frequent soloist and chamber music performer, Mr. Veal has been a member of the Concord Piano Trio, the Great Bay Chamber Players and the Allerton String Quartet. He holds the position of principal cellist in the Granite State Symphony Orchestra and is viola da gambist with the Hampshire Consort. Mr. Veal has a strong interest in string pedagogy and has served as President of the New Hampshire Chapter of the American String Teachers Association, and as a specialist in Rolland pedagogy for Boosey and Hawkes Music. Born in Indianapolis, Dr. Byron Wallis currently resides in Paris, France where he is Concertmaster of the Orchestre de Chambre Francais Alberic Magnard, and a member of Ensemble Matheus, with whom he performed at Carnegie Hall and the Library of Congress. 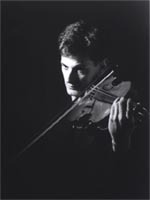 A graduate of the University of California (Santa Barbara), Eastman School of Music, and University of Wisconsin (Madison), Wallis was formerly Concertmaster of the Great Falls Symphony and violinist with the Cascade String Quartet. In 2006 he was Visiting Assistant Professor of Violin at Ithaca College in New York State. Solo appearances include performances with the Carmel Symphony and Great Falls Symphony. As a member of the Taliesin Trio, he was the recipient of a National Endowment for the Arts/Chamber Music America grant for a residency in rural Arkansas. 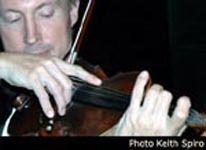 Kenneth Woods was founding cellist of the NEA Rural Residency Grant-Winning Taliesin Trio, and the Masala String Quartet. He was artist-in-residence in the Eastern Piano Trio while a professor at Eastern Oregon University, where he was Artistic Director of the EOU Chamber Series. Concerto appearances include Aspen, Grande Ronde Symphony, Boston Chamber Orchestra, Lancashire Chamber Orchestra, Oregon East Symphony, and the Madison Philomusica. Festivals include Sandpoint, Great Lake, Lucerne, Schloss Weinberg, Domaine Forget, Wallowa Lake, Clock Tower, Ischia and Round Top festivals. He has twice been recipient of the Aspen Fellowship, and is the only person to have received the UW's Gilbert Award for "outstanding string performer" in consecutive years. Chamber music colleagues include members of Chamber Music Society of Lincoln Center, Pro Arte Quartet, Cincinnati, Chicago, and Toronto Symphonies, and the Minnesota, Gewandhaus and Concertgebouw Orchestras. Violist David Yang has been heard throughout North America and Europe in collaboration with members of the Borromeo, Brentano, Lark, Miro and Tokyo String Quartets. An advocate of new music, he has commissioned and premiered dozens of works and as leader of the storytelling/music troupe Auricolae, David developed a residency program to foster the creation of new compositions by public school students. 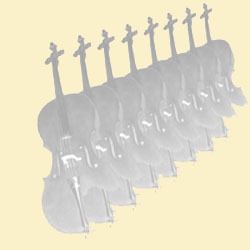 David is also a member of Poor Richard's String Quartet in residence at Ben Franklin's Church in Old City, Philadelphia. He is currently Artistic Director of the Newburyport Chamber Music Festival and Director of Chamber Music at the University of Pennsylvania. David was raised in New York City and studied with Martha Katz and Heidi Castleman.